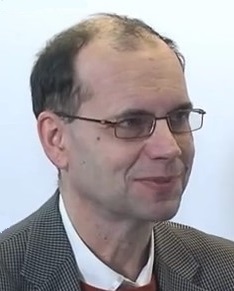 Professor Ivo Budil has been an active member of the Society since 2002. He organized the 21st SVU World Congress and the 27th SVU World Congress, both in Pilsen, and the 29th SVU World Congress in Prague – with Georges Eichler. Ivo Budil has been focusing on history of anthropological thought and on relations between the western civilization and the overseas societies in wider historical and intellectual contexts. He works at Metropolitan University Prague. Professor Budil is the founder and Dean Emeritus of the Faculty of Philosophy and Arts of the University of West Bohemia in Pilsen. In 1994-1995, Ivo Budil was a research intern in France, at Le Centre national de la recherche scientifique – Institut de Préhistoire Orientale with Professor Jacques Cauvin, at Maison de l’Orient et de la Méditerranée in Lyon with Professor Olivier Aurenche, and at Laboratoire d’Anthropologie et de Préhistoire des Pays de la Méditerranée Occidentale, Université de Provence, Aix-en-Provence with Professors Olivier Dutour and Roberta Chenorkian. In 1999-2000, he was a visiting scholar at Department of Anthropology, Johns Hopkins University in Baltimore, sponsored by J. William Fulbright Commission. Prof. Budil presented papers at universities in the United States, France, Great Britain, Germany, or South Africa.